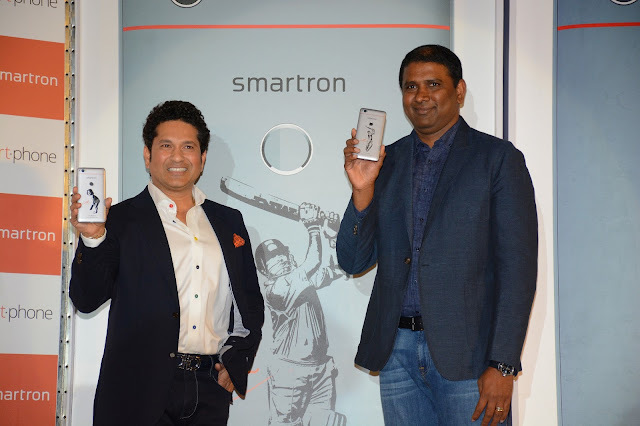 Delhi, May 3, 2017: Smartron, India’s first global technology OEM Company and Premier IoT brand, has announced the launch of their much awaited srtphone, a smartphone which draws inspiration from Sachin Tendulkar and is a gift from him to his fans. 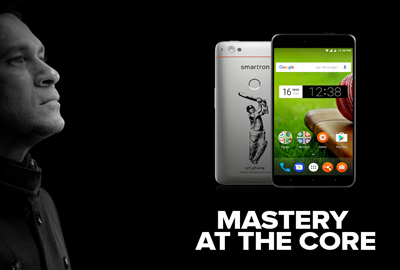 srtphone, designed and engineered and manufactured in India, comes with an unmatched experience as it showcases a blend of genius and craft and sport a powerful Qualcomm 652 Octa-Core processor with 4GB memory delivering 30%-50% better performance in this price category. This performance driven smartphone comes with the latest Android N and offers a great experience including ensuring fastest Android update roll outs, unlimited t.cloud storage and signature tcare thanks to tronX, Company’s AI and IoT platform. srtphone, which was formally unveiled to the world by Sachin Tendulkar himself, is poised to be an epitome of Mastery at the Core. Tired of spending lots but not getting enough? Put a stop to these complaints as srtphone is the only smartphone in this price category to feature a Qualcomm 652 Processor delivering 30%-50% faster and better performance. Not just that, it also comes with a 4GB RAM to boost up the web, gaming and multimedia performance and 64GB internal storage and unlimited tcloud storage for users to never wanting to delete their favourite videos, pictures, music, etc. 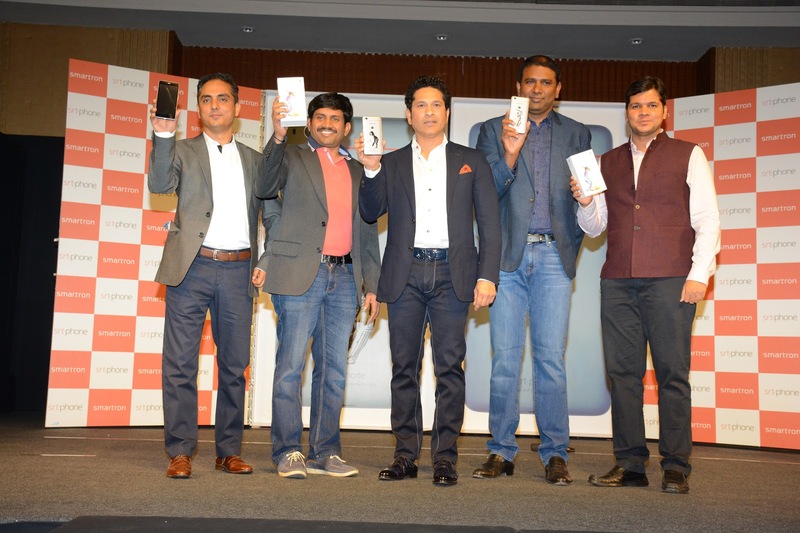 The smartphone sports a sleek and stronger body with 5.5 inch of 1080P FHD wide colour display with an excellent indoor and outdoor performance. The srtphone sports a 13MP rear camera with autofocus PDAF and wide angle 5MP front camera with optimised low light performance so that you don’t miss a perfect click. The srtphone comes with the most stunning visuals and high quality motion graphics which gives high performance gaming experience. The smartphone’s class antenna characteristics ensures the lowest call drop rates and a smooth browsing experience. srtphone is also backed with maximum usable space as the smartphone uses minimum space for the operating system and passes the bigger chunk to the user. srtphone is a smartphone emitting the least radiations during use. While other smartphones have SAR rate exceeding 1.0 to 1.6, srtphone uses 0.6W/kg SAR. This also brings down the heating significantly especially when the processor is being used for multiple applications and calls. Why stay back when the world is moving forward? Now you don’t have to worry about your device being outdated with srtphone. The device is remarkable with the latest Android N and promises fastest android rollout. The srtphone is equipped with tronx that transcends boundaries between hardware and software, home and office, devices and the cloud i.e. enabling you to access various unique services from Smartron – t.cloud, t.store and t.care. With t.cloud you will never have to worry about back-ups, once enabled, it automatically backs up and allows you to access your data seamlessly from any Smartron device. t.store offers e-showcase of all Smartron device & accessories, allowing you to get it delivered at your doorstep with a single click. We care for you 24*7, our customer service, known as t.care, will ensure that you enjoy an uninterrupted experience.